With the amazing technologies built into Honeywell Ademco’s Total Connect remote services, your smart phone becomes a smart home manager. 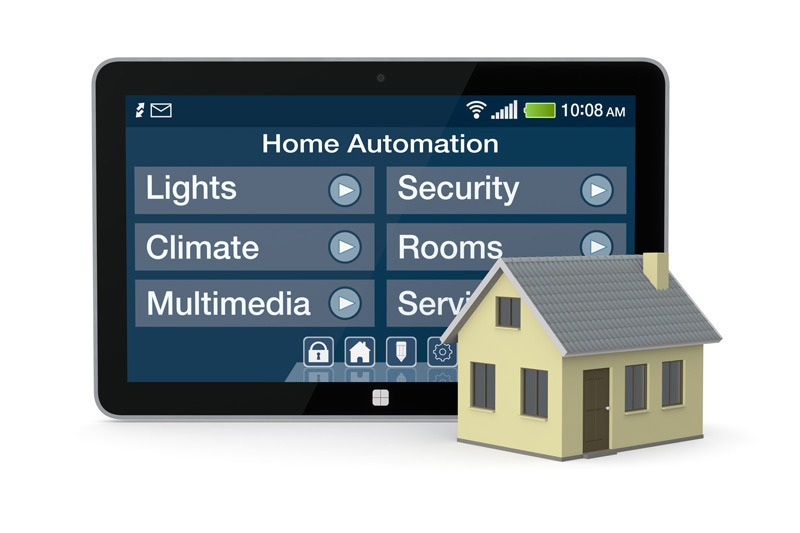 Honeywell’s home automation products work seamlessly with the Total Connect Remote Service, allowing you to control and/or program a host of devices. Total Connect gives you amazing opportunities to stay connected and in control of your home environment…even when you’re not at home. With the tap of a finger, Total Connect gives you control of your home’s thermostat, lights, door locks and more. You can locate family vehicles and other valuable assets. View live video or see, hear and talk to visitors at your front door while you’re on vacation thousands of miles away. With your smartphone or any other compatible smart device, you’ll enjoy end-to-end remote services, whether you’re in another room…or another state. Are you using Touch ID? No worries: iPad and iPhone users can still log onto their account using Touch ID. Total Connect is even compatible with Apple TV and Apple Watch. Total Connect lets you schedule when lights are turned on and off, so there’s no wasted energy, even when the kids forget. Turn the thermostat down once you get to the office and receive emails when the temperature changes. Use Smart Scene set-up to program scenes to save energy, create a little ambiance or simply prepare your home for your arrival or departure. Autech can install a high-definition video doorbell that actually lets you see, hear and speak to visitors at your door no matter where you are. Even at night, you’ll see your guests in full-color HD on your smart phone or other compatible device. From one screen you can disarm your alarm, unlock the door and let them in, then lock the door and arm the alarm when they leave. If you chose, you can capture an image of your visitor. You can also check who visited while you were away from your phone. Make sure they follow the rules!It’s past curfew and your son’s still not home. So…where is he? You can find out quickly and easily using GPS vehicle and asset tracking. Total Connect Tracking Services gives you real-time location information, taking the guesswork out of locating your family members. You can even find out if they’ve been speeding. Many families use this feature to help ensure the safety of elderly drivers.